I LOVE the house-made Traditional Roasted Turkey Breast at Central Market. They actually give me funny looks at the deli counter when I ask for four pounds of this stuff. 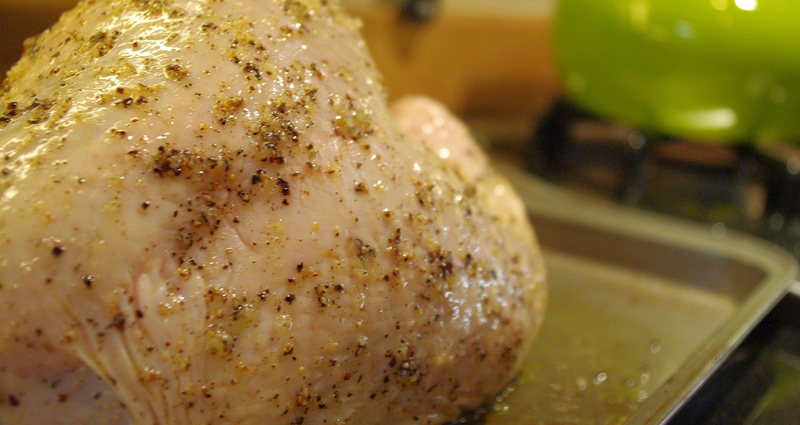 It’s just a simple roasted turkey breast seasoned with olive oil, salt, and pepper. I got a wild hair this week to try roasting my own turkey breast. My only prior experience with roasting turkey was Thanksgiving a few years ago… it involved a 5-gallon brining bag filled with seasoned salt water and turkey juice that ended up all over my kitchen floor. Although I did have to thoroughly disinfect my floor, my kitchen did smell wonderfully of rosemary for several days… 😉 Needless to say, it was time to re-tackle the turkey. In a small bowl, mix oil, salt, and pepper. 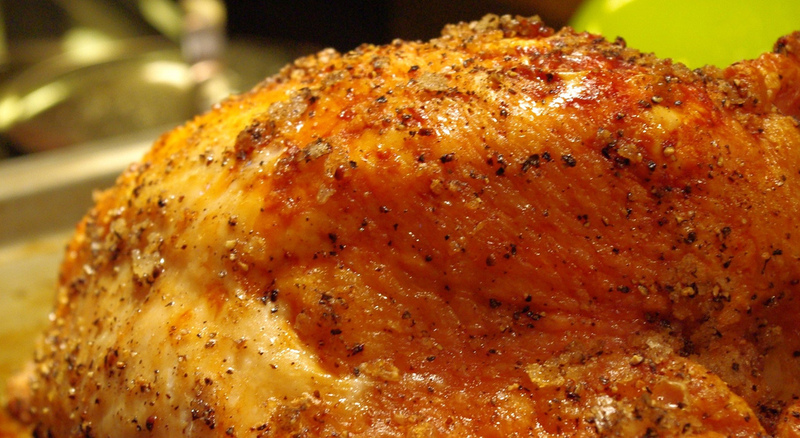 Place turkey on a rimmed baking sheet (feel free to use a roasting rack if needed). Brush oil and spice liberally all over turkey. Roast turkey on the rimmed baking sheet until your digital oven thermometer inserted into the center of the turkey (not touching bone) reads 140 degrees and climbing. Remove from oven and let rest for at least 15 minutes. 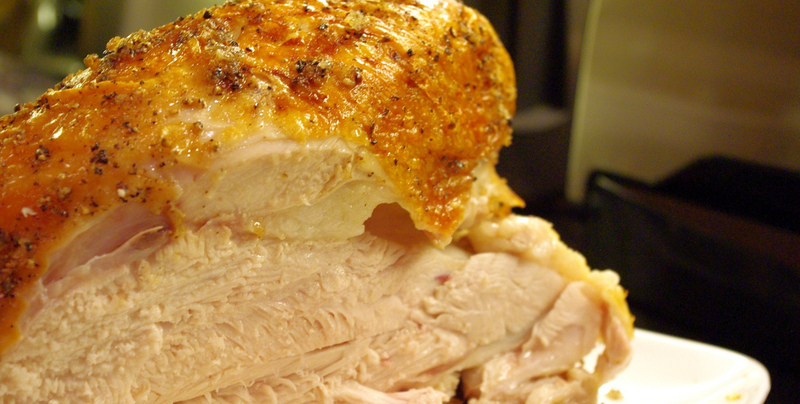 Note: You can store refrigerated turkey for up to 5 days… This is a great one to make on Sunday and eat all week at work… love it!